1. Roast the capsicum: 180 degrees Celsius. Most people just wrap in foil w olive oil but I don’t like foil touching my food (weirdo?!) so I lay a piece of foil in a baking tin, then lay a piece of baking paper on top, throw the capsicum in & then squeeze up so it’s wrapped like an untidy present. Cook for 45 mins. 2. Cut the pumpkin into small cubes, line a tray w baking paper & cook for 45 mins @ 180 degrees Celsius. 3. 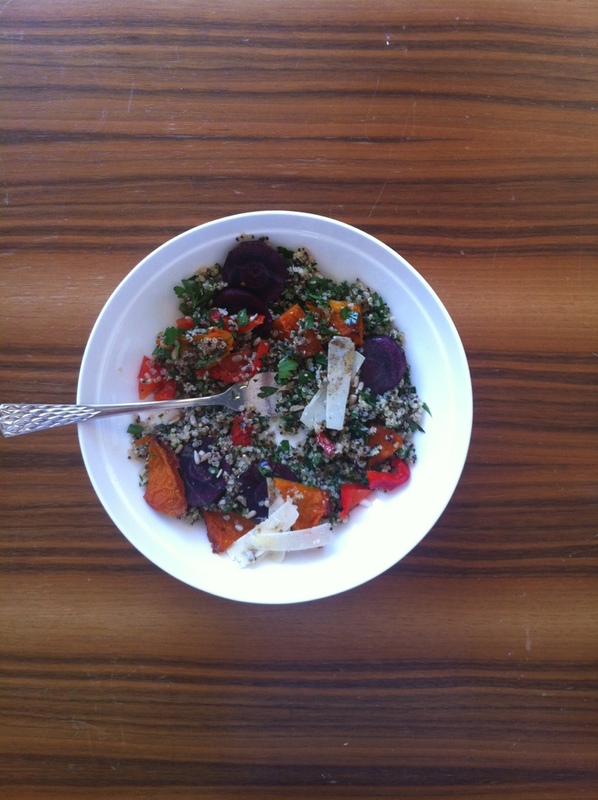 While capsicum & pumpkin are in the oven, cook your quinoa. I did 1/2 cup quinoa + 1.5 cups water, simmered for 15 mins then take off the stove & put straight in a bowl so it stops cooking. 5. Stir parsley into quinoa. It will almost look like tabbouleh. 7. Capsicum can cool a bit then be sliced into strips & thrown into the bowl. 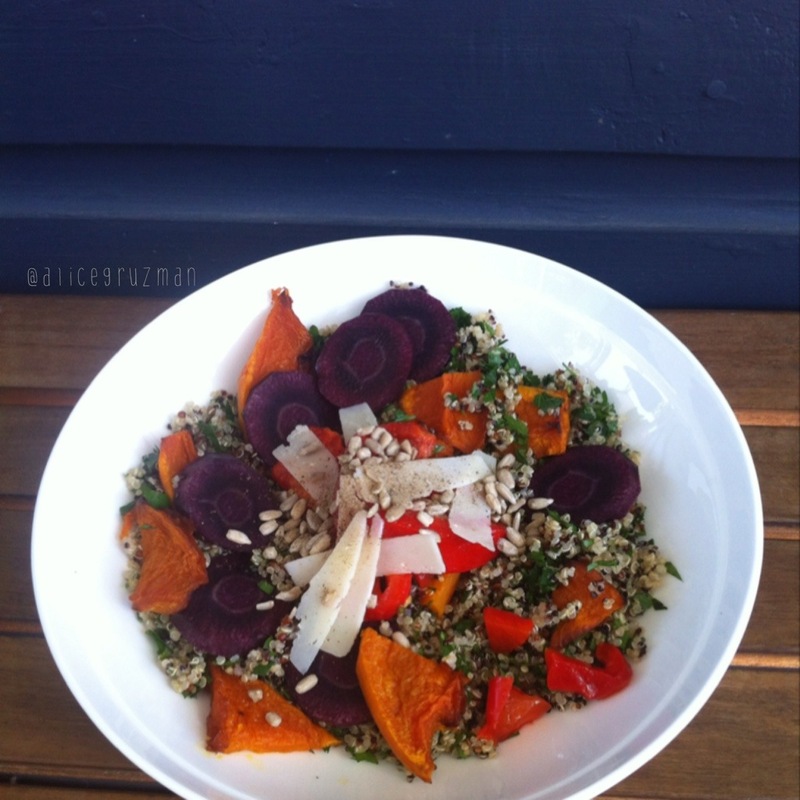 This entry was posted in Recipe and tagged capsicum, cleaneating, cooking, dutchcarrots, foodprep, glutenfree, healthyeating, homecook, iqs, iqs8wp, iqssalad, mealsfullofcolour, parmesan, parsley, pumpkin, purplecarrots, Quinoa, quinoasalad, rainbowbowl, roastpumpkin, salad, sugarfree, sunflowerseeds, vegosalad by 6 Clean Ingredients. Bookmark the permalink.